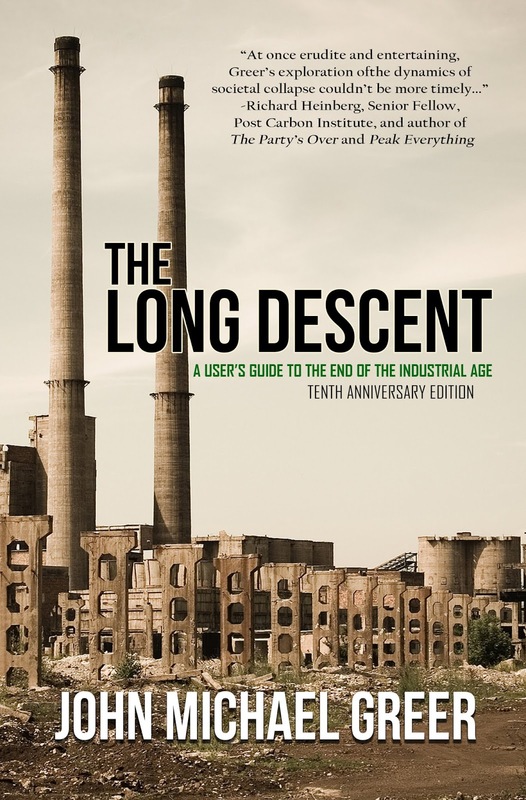 In 2008, as the price of crude oil spiked to record levels, John Michael Greer's The Long Descent pushed past the stereotyped debates of the time to offer a harrowing but hopeful vision of the future of industrial society. 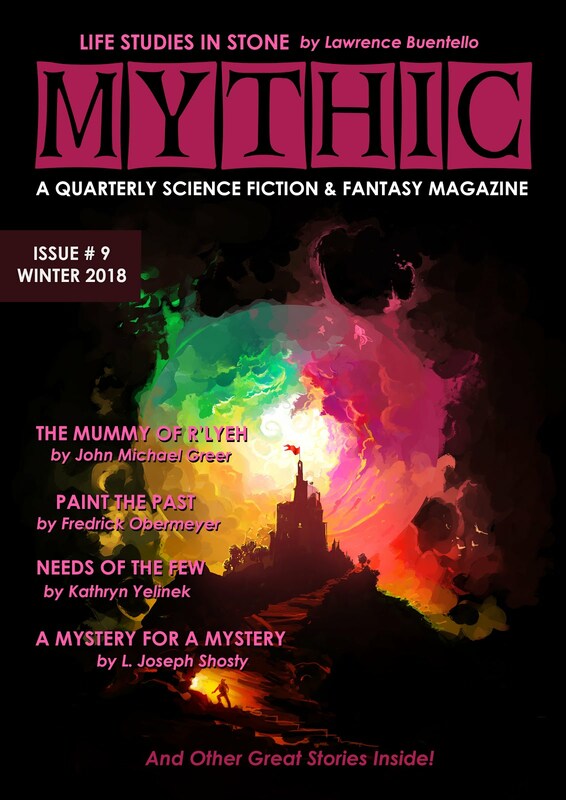 As believers in perpetual progress insisted that something would turn up to replace depleting petroleum reserves, and believers in apocalypse insisted just as fervently that the spike in oil prices would send industrial society crashing down in ruin overnight, Greer's epochal book reframed the entire debate in terms of the great rhythm of rise and fall the marks the history of civilizations. The Long Descent traces out the ragged course of decline that has brought every previous civilization to its end, and is doing the same with ours. It takes the average civilization one to three hundred years to descend from its peak into a dark age out of which new civilizations will be born, and that same process is visibly under way in our own lives. The global challenges facing industrial civilization are not problems that we can solve, but predicaments that all of us must live with, as our societies stumble down the long slope to the deindustrial future. Much can still be done as the petroleum age winds down, and the interval between one spike in oil prices and the next offers opportunities that will no longer be available when the price of everything made from petroleum starts soaring again — as it will. 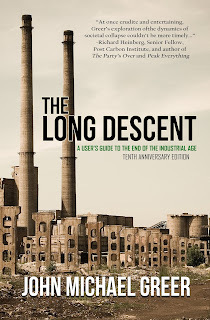 The Long Descent offers crucial insights into what individuals, families, small groups, and local communities can do to brace themselves for the changes to come.